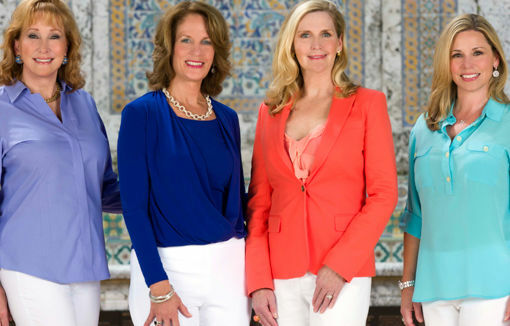 WEST PALM BEACH, Fla. – Mary Freitas, Susan G. Keenan, Betsy Meany and Debra Vasilopoulos are co-hosting “A Woman’s Journey,” a health conference and luncheon presented by Johns Hopkins Medicine. The program will be held Jan. 22, 2015, from 9 a.m. to 2 p.m. at the Palm Beach County Convention Center. Lee Callahan, Susan Telesco and Norma Tiefel are honorary co-chairs. The conference will feature 10 seminars on women’s health taught by Johns Hopkins health care providers. A luncheon with the faculty is included. Major sponsors of the event are Sabadell Bank & Trust, Patrick Park and Susan Telesco. Registration is $150. For more information, call (410) 955-8660 or visit hopkinsmedicine.org/awomansjourney/palm_beach.